Two years have passed after mass protests erupted at Kiev's Maidan Nezalezhnosti. The results are disappointing. The functioning of the self-proclaimed government is stymied. The economy is in doldrums. The government’s policy has resulted in mass impoverishment of people. Nothing good can be said about the leadership of the country where it seems that the only promising political figure is notorious Mikheil Saakashvili, the man with deeply tarnished reputation. 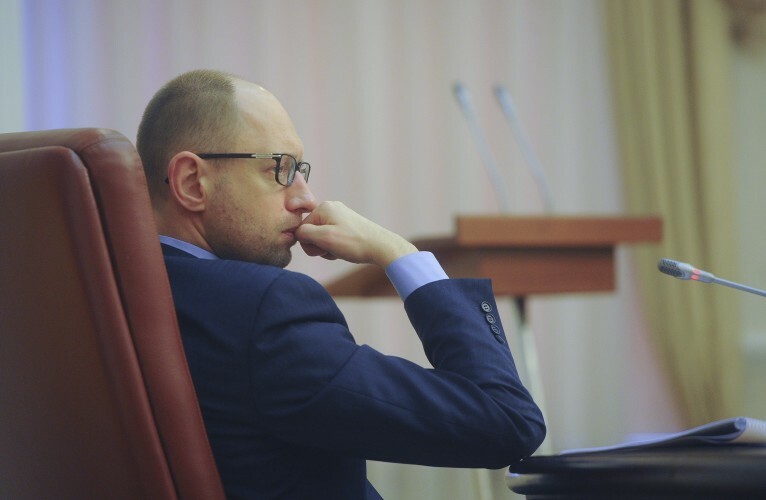 The statement made by Ukraine’s Prime Minister Yatsenyuk about Russia not getting favourable treatment in debt restructuring process sounds rather rude. Financiers perceive it as a severe form of a mental illness. German Finanzmarktwelt writes that it is something unheard of, when a debtor tells a money lender when to refuse the claims, otherwise the debtor will launch a lawsuit. «How come it is possible?», the newspaper asks. His former team mates say Yatsenyuk is increasing his fortune by leaps and bounds leaving Yanukovych, the former President of Ukraine, far behind. The teams of Poroshenko and Yatsenyuk entered into collusion while dividing the spheres of influence instead of functioning within the system of mutual checks and balances, as it was expected by those who led them to power. Western sponsors supporting the regime lose heart. The mission of the International Monetary Fund (IMF) visiting Kiev on November 12-20 tactfully said the mutual understanding was growing. At that, it pointed out that «it is now important that the Government submits to Parliament a budget that is consistent with the program objectives of further reducing the budget deficit and public debt to safer levels, and that Parliament adopts such a budget». It looks like the IMF should not be expecting it to happen. The preliminary debates showed the two bills have no chance to be approved by the parliament without amendments. The both legislations envisaged atrocity measures with social cuts already in place. By the way, the parliament has already failed to pass a number of bills, including the one against corruption and the bill on prohibition of employment discrimination (amendments to norms of the Labor Code), recommended by the West. In addition, the IMF recognized the debt to Russia as a sovereign debt. It means the $3 billion debt is to be paid in full by Ukrainian government. Poroshenko has openly stated that all EU members have ratified the association agreement with Ukraine, no matter the Netherlands is going to put this issue to referendum in April next year. It raises the question about the mental state of the Ukrainian President. But the implementation of the agreement will destroy the Ukraine’s economy once and for all. That’s what really matters. This year Ukraine did not pay customs duties for its goods exported to the European Union. It was a good will gesture on the part of the EU. Nevertheless, Ukraine has failed to increase the exports. To the contrary, the exports to the EU have been reduced by one third. But the preferential status to the EU market was granted only till January, 2016. The temporary removal of customs duties will expire and there will be no way to deviate from standard procedures coming into force. The remnants of industrial potential will disappear. The Ukraine’s industry has failed to compete even with the «brotherly» Poland. This will be the first result of the Deep and Comprehensive Free Trade Area commencement. Another consequence is the loss of Russian market. From January 1, 2016 Russia will toughen customs protection and impose economic sanctions against Kiev preventing the re-export of customs-free goods from Europe, including those disguised as Ukrainian imports. Even the status of agricultural appendage is a pipe dream. Getting sanitary and other certificates to export agricultural products may take many years. Commissioner for European Neighborhood Policy and Enlargement Negotiations Johannes Hahn has dissipated any illusions Ukraine might have on this account. According to him, the European Union has already granted enough funds to the Ukrainian business to get prepared for the new export opportunities and new market conditions. «Let us be candid – since the time we agreed on a free trade zone it has been no secret that after it is introduced the Russian Federation may respond, whether we like it or not» , Hahn said, adding that Ukraine has had ample time to get prepared. Summing it all up, Ukraine will not get compensated when the Free Trade Area agreement will be implemented in full. Hahn said the European Union will not send a special mission to eastern Ukraine as Kiev wanted it to do. He noted that the Union stands by the Minsk accords and the mandate of the Organization for Security and Cooperation in Europe (OSCE). Even establishing a visa-free regime for Ukrainian citizens travelling to the European Union is under the question. Under the circumstances, this step is extremely risky with the best professionals leaving the country. On November 5, the President of the European Commission Jean-Claude Juncker wrote a letter to the President of Ukraine Petro Poroshenko. It said, «Progress in implementing reforms in the fight against corruption remains a key priority for the achievement of visa-free regime with the EU for Ukrainian citizens». He attached a long list of reforms that Ukraine has to enforce. The European Union has recently withdrawn financial aid for Ukraine’s anti-corruption prosecution body due to the lack of «trust in the final outcome» of the project. The EU has doubts in «some people who participate in the selection» of future members of the new anti-corruption prosecution body and it cannot longer provide its financial assistance. It was commonly understood that the European Union meant prosecutor-general Viktor Shokhin, a protégé and old associate of President Poroshenko, accused of undermining the anti-corruption effort. No reforms have been implemented. The judicial system has remained extremely corrupt. In September Christof Heyns, United Nations Special Rapporteur on summary or arbitrary executions visited Ukraine to say that the country «lives lost in an accountability vacuum». According to him, the Ukrainian authorities failed to investigate the death of more than 100 people killed as a result of firing on the streets of Kiev during the Maidan protests and the death of 48 pro-Russian protesters near the Trade Unions building in Odessa in May 2014. The both investigations have been stalled for the time being. All efforts undertaken by lawyers to expedite the process have gone down the drain impeded by authorities because some of the suspects still work for the Ministry of Interior. The official noted that the Ukraine’s security service (SBU) seems to be above the law. The Council of Europe issued its own report on the events in Odessa. The paper prepared by the International Advisory Panel on Ukraine – the body tracking the investigation to check it meets the requirements of the European Convention on Human Rights and the European Court of Human Rights – says the investigation in Odessa, like the probe in Kyiv, displayed «serious deficiencies in independence and effectiveness». The evidence disappeared the next day as the streets were cleaned. The access to the Trade Unions building was closed only a few days after the massacre occurred. The only suspect was left free to go due to lack of evidence. Then governor of Odessa region vindicated those who set the building on fire. He said the action was needed to neutralize armed terrorists. Only two investigators are conducting the probe today. The influential Financial Times reports that the united front that the EU has shown in the aftermath of Russia’s invasion of Ukraine is fragile. Sooner or later, it will be replaced by a cruder form of realism that will put the immediate German or French ‘national interest’ first. If the EU goes into full ‘Fortress Europe’ mode, the prospect for future enlargement will fade into the realm of political fantasy, effectively throwing Ukraine and other countries under the bus. Looks like Kiev has abandoned its European dream. It keeps on talking about the European integration due to the force of inertia. The Ukraine’s leadership is looking with a dim hope to the upcoming visit of the US Vice President Joe Biden who is responsible for the Ukraine’s policy in the US administration. The visit is slated for December 7. Official Ukraine still believes Biden will dissipate the fears that the creation of «global anti-terrorist coalition» will eclipse the problems of the country. It catches the eye that anytime Biden visits Ukraine the situation along the line dividing Ukrainian forces and the Donetsk and Luhansk Peoples’ Republics somehow gets tenser. That’s what is happening now. Kiev may come to the conclusion that a new armed venture in the Donbass while Russia is busy with the military operation in Syria would lead it out of the dead end. The exacerbation of the conflict may «shake up» the West making it increase the aid. Biden’s stance on the issue will certainly become decisive. 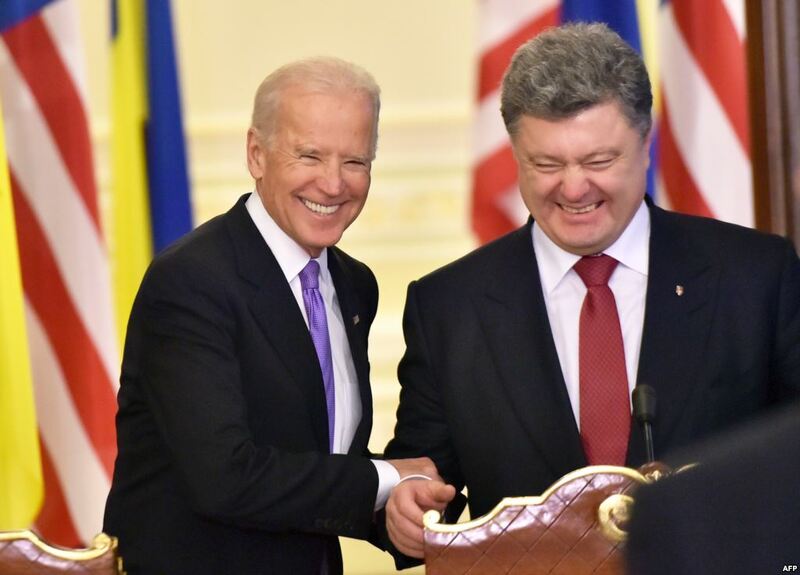 No doubt, in words Biden will express support for the Kiev regime – he won’t spoil the second anniversary of Maidan. He is its godfather, after all. But he will hardly approve a new war in the Donbass. With Obama’s administration already being a «lame duck», the Vice President won’t do anything to damage the rating of his party. 2016 is the election year. The US public opinion supports the idea of joint fight against terrorism. Allowing the conflict to escalate, Kiev and Washington will destroy what is left of the Maidan revolution. 72% of Ukrainians already believe their country is headed in the wrong direction. Tomorrow the discontent will grow. The impotence of Kiev rulers strikes the eye. No help is coming: Washington only incites Kiev, while Europe is fed up with Ukraine.